I have been doing the self help program for a year now. Yes, there is good improvement! However, I can't get through the day without doing the full program--totally addicted to it! I have sciatic pain in lower right ankle/foot, usually external, but pain does shift around. Also have burning sensation sometimes in front of lower legs. I fell on my tailbone 3 years back and broke it. It heeled after 6 weeks. After returning to my normal routine, it started hurting more and more. The tailbone got pulled to the right and inward. These muscles still grip it. Also the pelvis actually got twisted and rotated, the sacrum turned external rotation to the right. It stays to the right - progress is from almost 1 inch off center to now -1/4 inch of center. 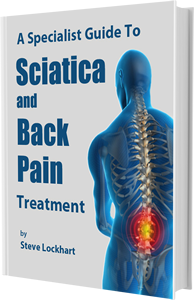 I had wished that when my sacrum got re-centered that my pain while sitting / walking would reduce. Sitting is still unbearable and walk up to 5 minutes at a time only. I can't sit in a car or lay on my back without pain, yoga position 'downward dog' put awful pressure on my sacrum, then comes inflammation and pressure on the nerves. I do the program daily, have a full body Ayurvedic massage, and try to do light exercises and have been regaining strength. Previoulsy my muscles would get fiberous but this is also slowly improving. I live in south India. The option is Ayurveda or orthop. surgeons. That's why I'm doing the program daily. Do you have any insights about how I could recenter my sacrum?